Make an everyday dessert extraordinary. 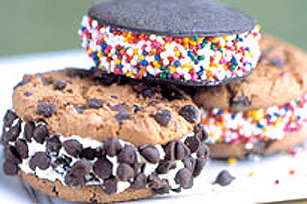 SPREAD a spoonful of Cool Whip Whipped Topping between Christie Chocolate Chip Cookies or Chocolate Wafer Cookies. ROLL cookies in coloured sprinkles or Baker's Mini Chocolate Chips.